Shuri-jo Castle where everyone wants to visit once in Okinawa. It is located on a hill where you can overlook the city of Naha, it was registered as a 11th World Heritage Site in Japan. All the buildings were destroyed by fire in 1945 during the Battle of Okinawa, but it was restored in 1992. 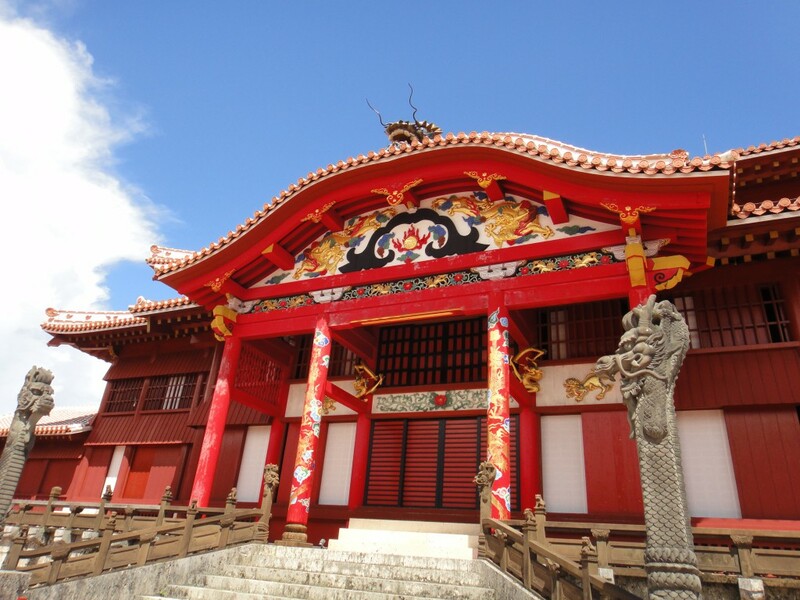 Its appearance that is colored with vivid red vermilion is exactly the story that conveys the history of Okinawa. 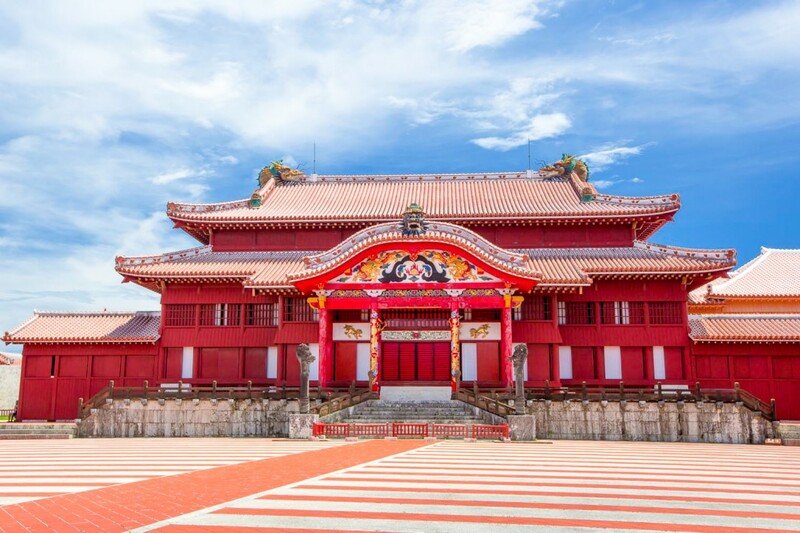 Because you can visit the inside of Shuri Castle, you can touch plenty of the history of Okinawa. Shuri-jo Castle, which was founded in the beginning of the 14th century. This is the royal palace once the King of the “Ryukyu kingdom” which lasted about 450 years since 1429 and was playing a variety of functions as a place to play the core of politics. This place was also a place to conduct diplomatic trade with China, so the influence of Chinese culture can be seen in many of the colors and treats of the building. 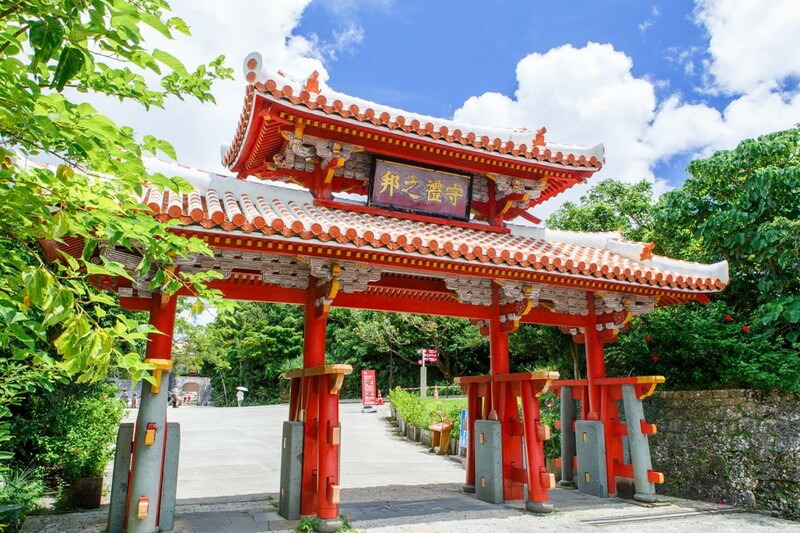 “Shuri Castle Park” is a vast national park centered on the emperor’s palace of Shuri-jo Castle, situated on a hill where you can overlook the city of Naha, also known as one of Okinawa’s best scenic spots. In addition, some of the area around the park is designated as “landscape formation area” of Naha city. It is careful not to break the scenery of Shuri-jo Castle, such as the use of red tiles and maintenance of streets covered with stone pavement. 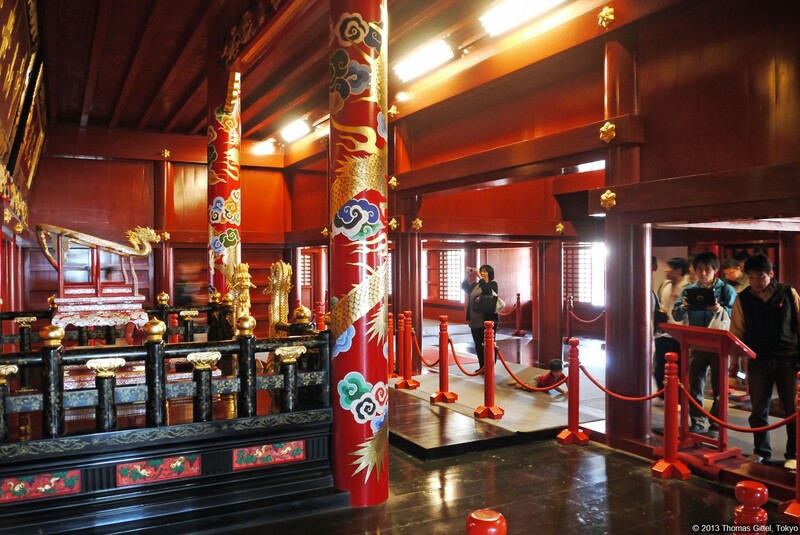 In Shuri-jo castle, there is a facility called “Suimui-kan Hall” that is a pleasing experience for tourists. There, in addition to materials and panels related to Shuri-jo Castle, there are restaurants, cafés, shops, etc, so you can taste the Okinawa gourmet and enjoy souvenir choices. The time required to visit Shuri-jo Castle is about 30 minutes only for the free area. It is average that it takes about one and a half hours to visit free area and toll area together. Of course there are individual differences, but please refer to it according to itinerary. The Shuri-jo Castle which was the castle of the royal family of the Ryukyu kingdom. 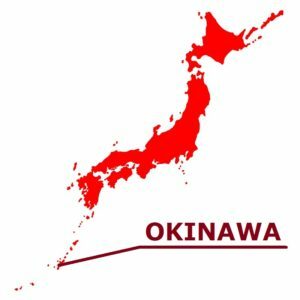 It was lost in the World War II, but restored to the original state in 1992 which is the year marked the 20th anniversary of Okinawa’s reversion to Japan. Shuri-jo Castle is the largest wooden building in Okinawa, and it is on the hill with the fine view of Naha-shi Shuri. It is the original Ryukyu architecture that mixed things from China and Japanese in accord with the climate of Okinawa. It is unknown when this castle was founded, but according to a result of excavation, it is thought that it existed between the end of 13th century and the 14th century. When you climb the gentle slope, it is Shurei-Mon to show at first. “Shurei” means “to respect courtesy”, the words are written as “Shurei no Kuni” (the country of Shurei) on the gate. It is the excellent design of the gate among many others. It was destroyed by war, and restored to the original state in 1958. It became famous as the representative of the “Cultural Heritage of Okinawa” afterwards, and was printed on the front of bills (Bank of Japan notes). The beautiful castle and Kankai-Mon gate are seen when you pass Shurei-Mon. In the Ryukyu kingdom period, the messenger of the Chinese emperor was invited to Shuri-jo Castle, it is said that had a meaning of “welcome a party” in this gate. 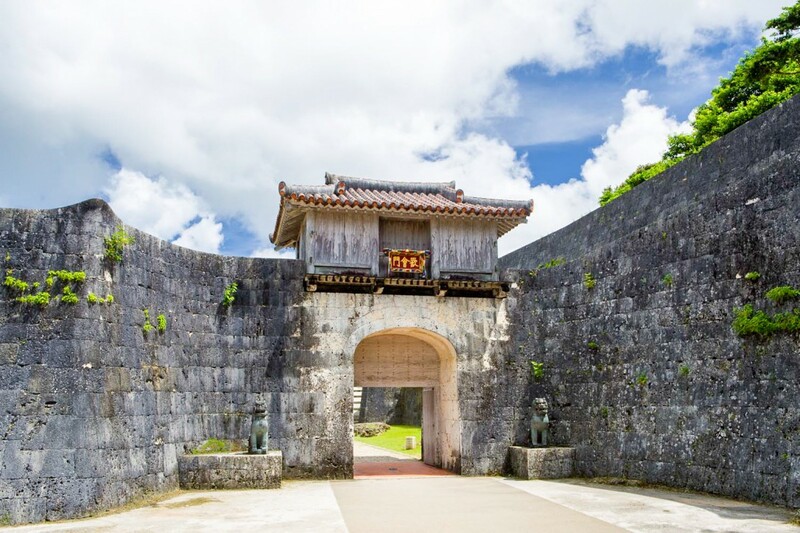 The style that carried a wooden tower on the arch-formed gate made of the limestone, which strongly received influence of the Chinese culture, is architecture only in Okinawa. There are more historic spots in Shuri-jo Castle. In the Shuri-jo Castle park, the events such as the court dance of the Ryukyu dynasty and the experience-based workshops of the sanshin are held, too. In addition, the castle and other facilities are illuminated every day, too.